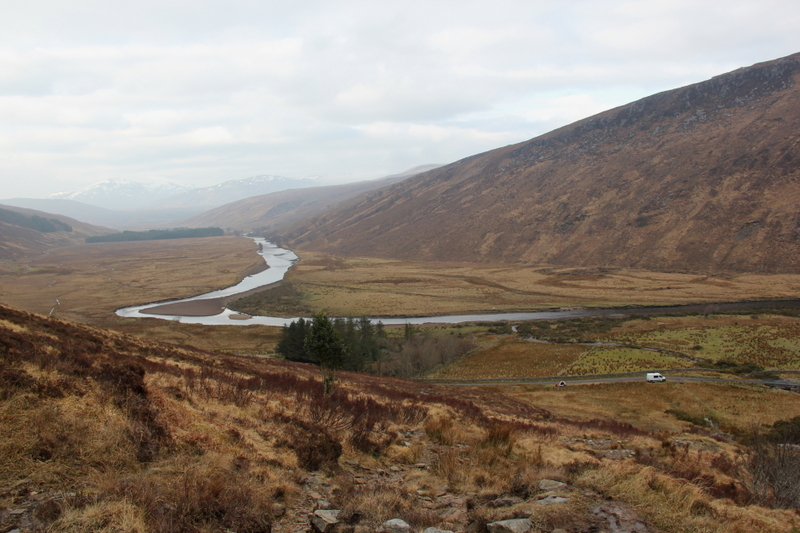 It was originally my intention to spend this weekend relatively close-to-home in the Southern Cairngorms, however, on checking out the MWIS forecasts, the forecast for the North-West Highlands was considerably better than that of the Cairngorms. 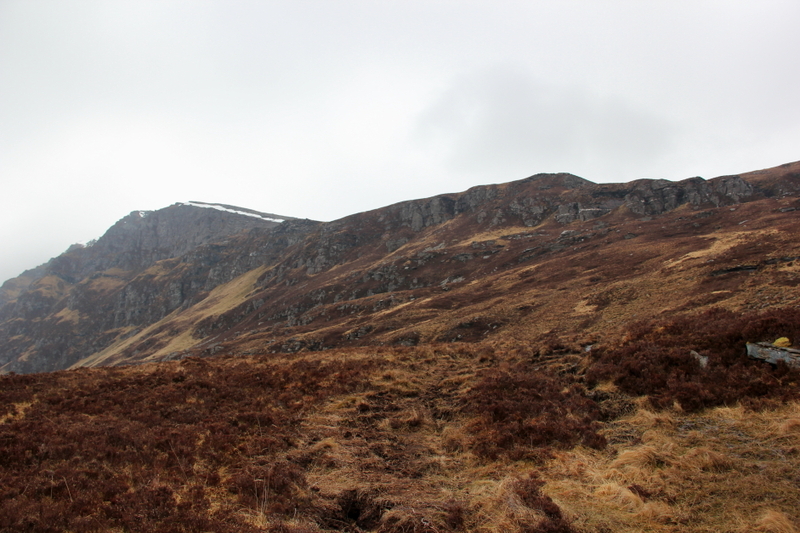 I therefore changed my plans and set off towards the North-West Highlands with the intention of re-ascending either Suilven, Arkle, Ben Loyal or Ben Hope. 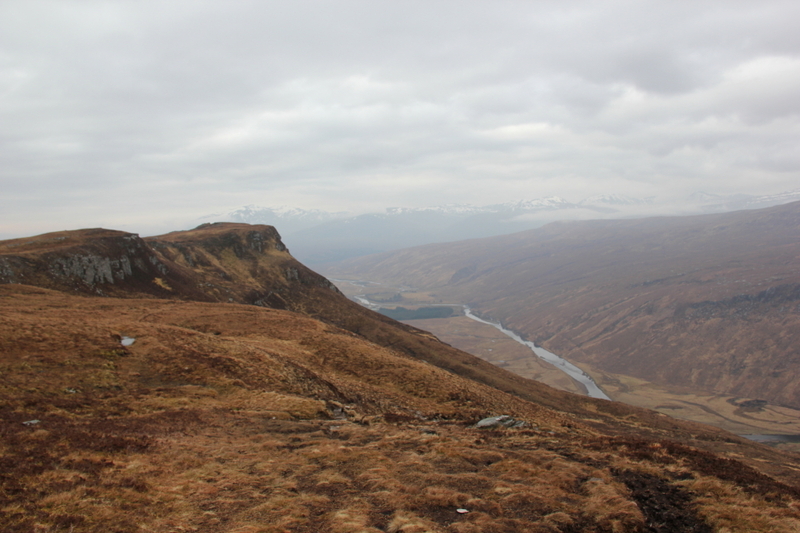 On reaching Lairg, I decided on a re-ascent of Ben Hope. 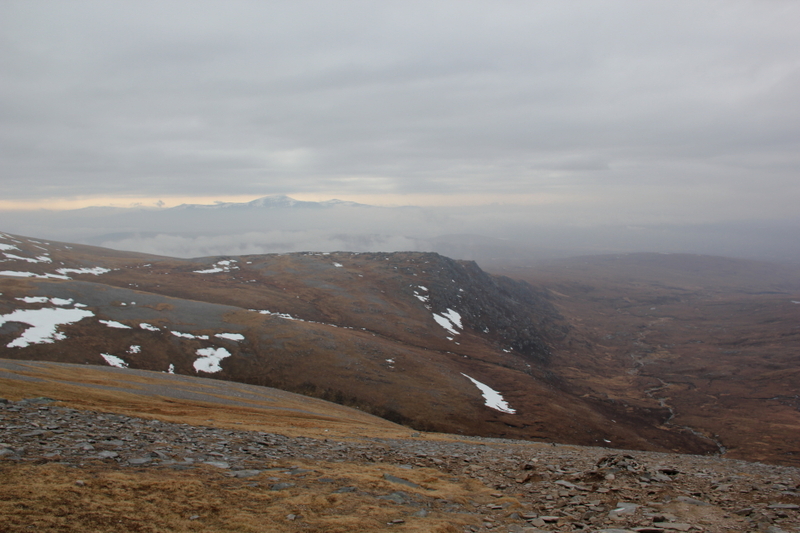 The last time I ascended Ben Hope, MWIS suggested 90% cloud-free Munros and the reality was clag. 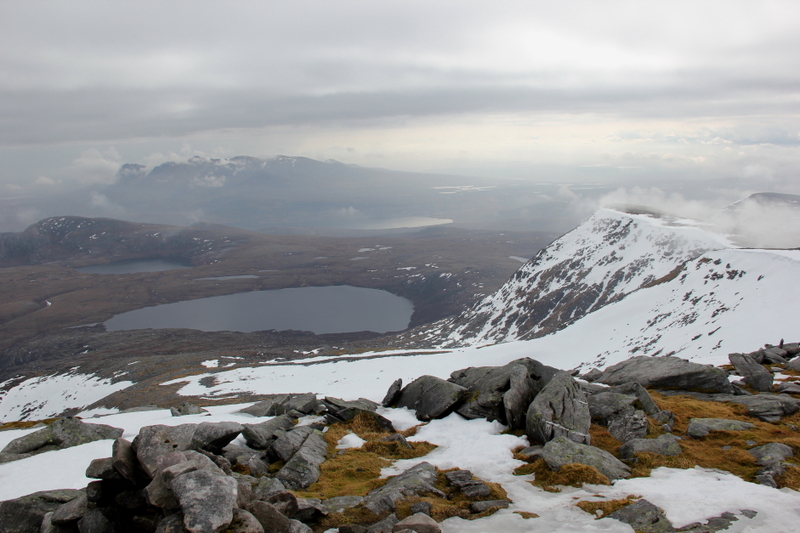 This time MWIS was suggesting 80% cloud-free Munros so hopefully this time I would get great views. After all, MWIS couldn't possibly be wrong twice for the same hill? Aye right! 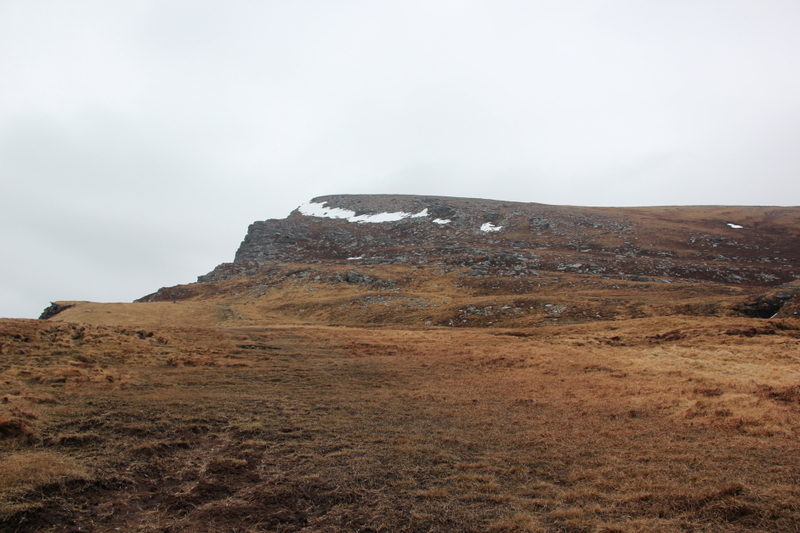 I arrived at the starting point for Ben Hope around 23:00. 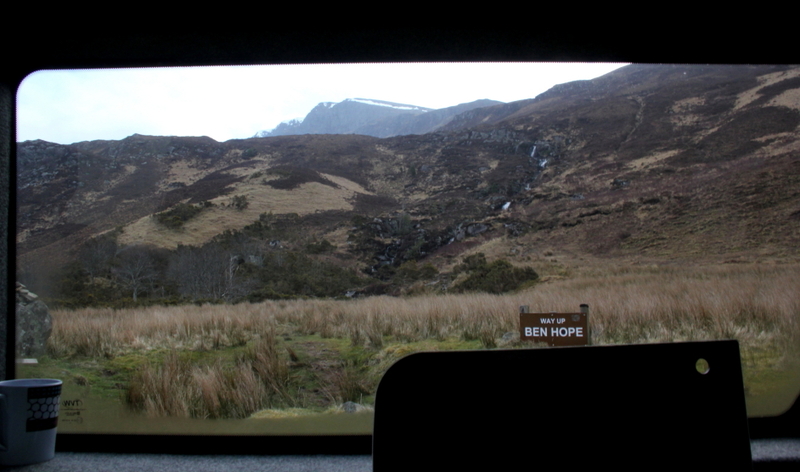 The Ben Hope road was 'interesting' in the dark given the poor road surface, narrowness of the road and the size of my van. The road is signposted 'unsuitable for caravans'. On waking, I was presented with a fine view of the hill. Prior to setting off, I made myself some coffee and fried-up some delicious Stornoway Black Pudding purchased in Lairg the night previous. 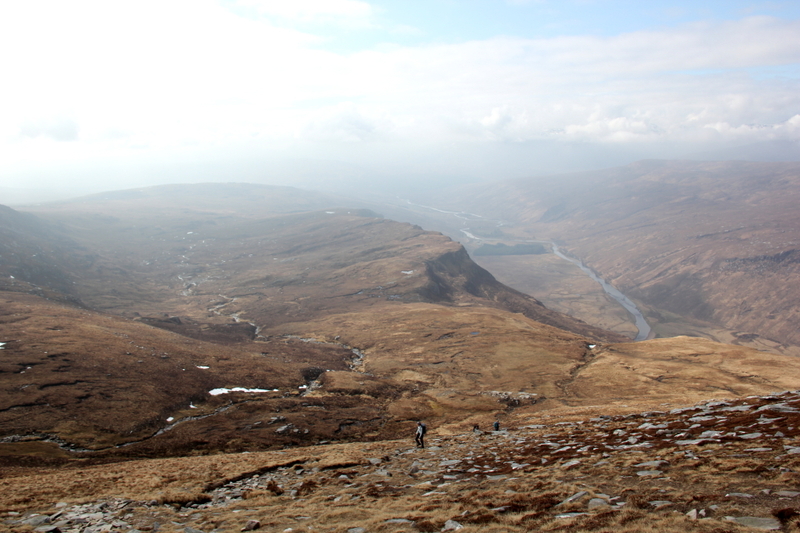 We then followed the standard 'tourist route' up and down Ben Hope. 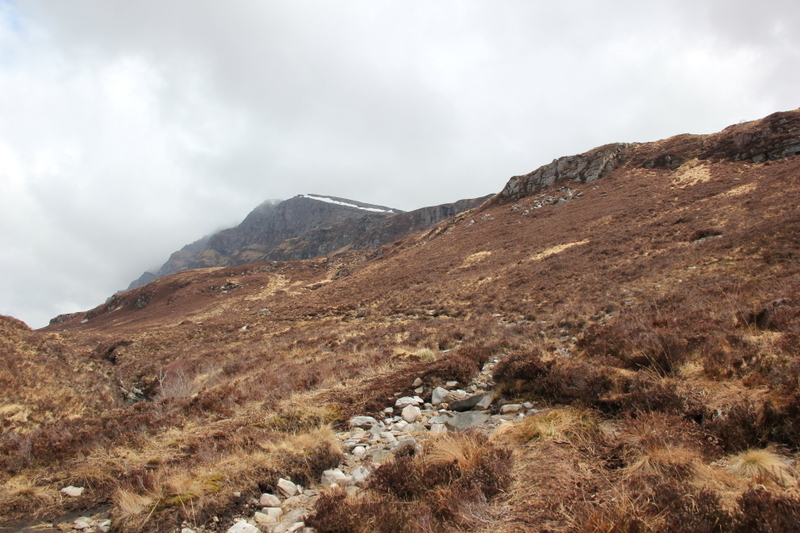 The initial path was somewhat wet in places. Thanks to having a fairly bad cold, the ascent was not as easy as anticipated as there was much coughing and spluttering. 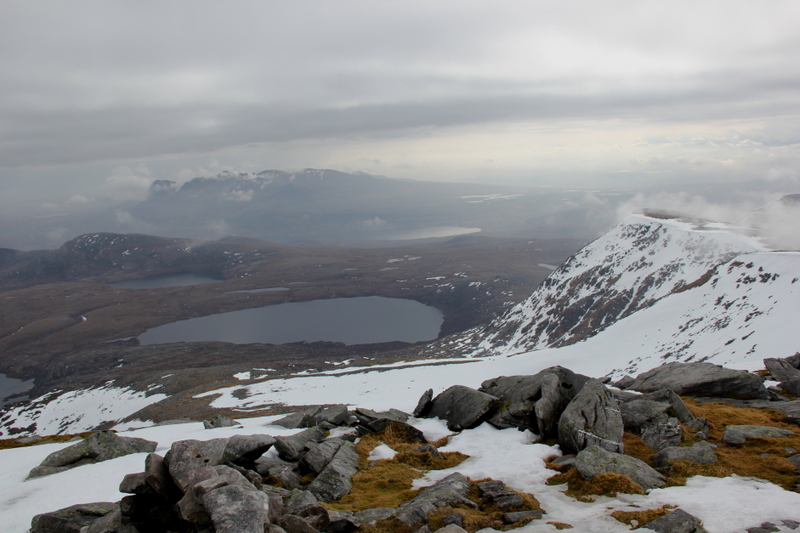 I was however quite determined to reach the summit especially having driven so far to get there. 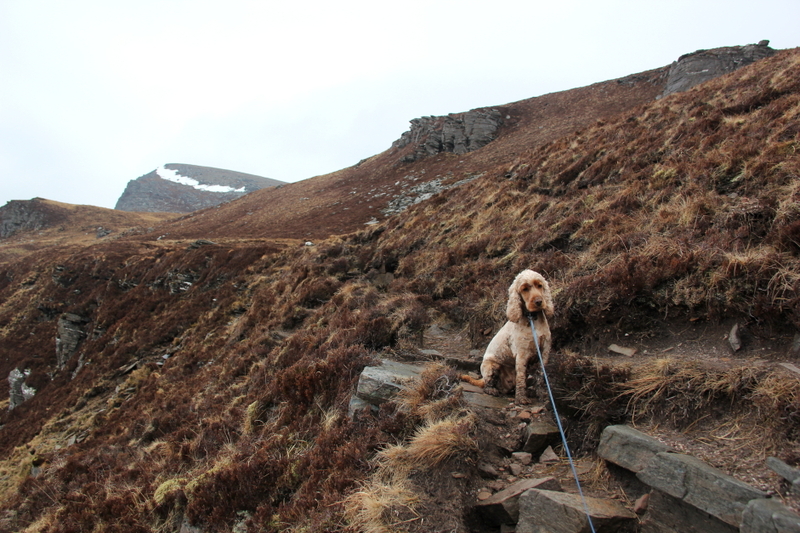 It was a joy to walk with Cuillin who was very well-behaved on the hill. 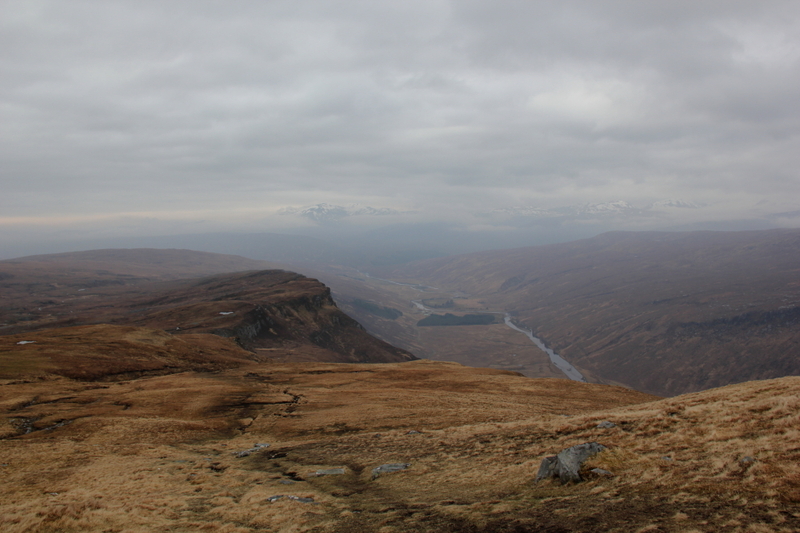 The views were not as good as I had hoped for as there was low-level cloud and higher cloud. It was also quite hazy. 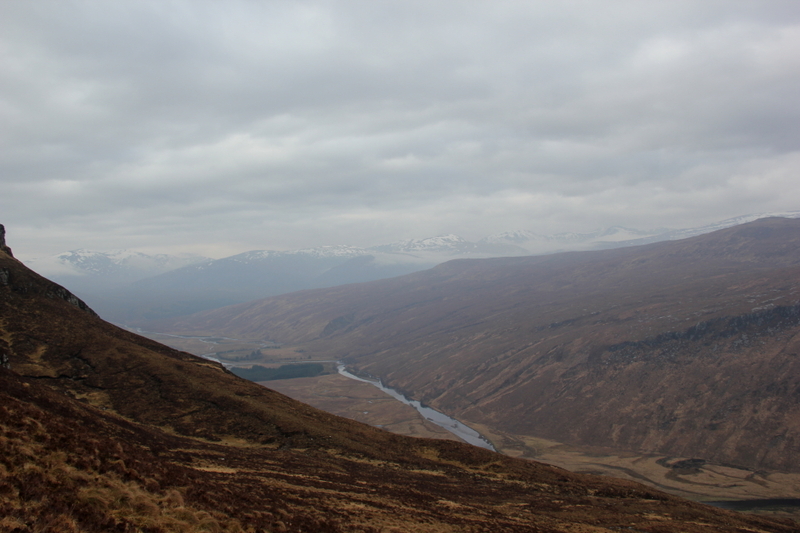 Ben Kilbreck was only just visible in the distance sandwiched between low and high cloud. 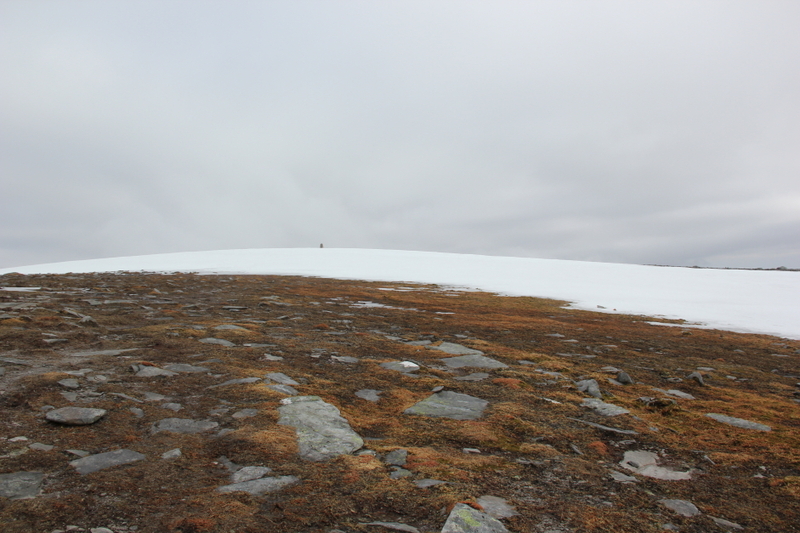 As we approached the summit, we had two large snow patches to cross. 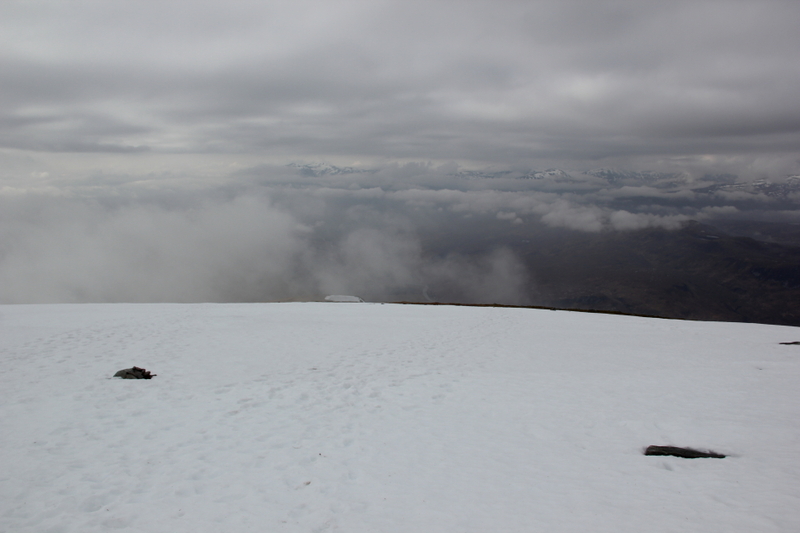 The snow was soft so there was no need for crampons or kicking steps. 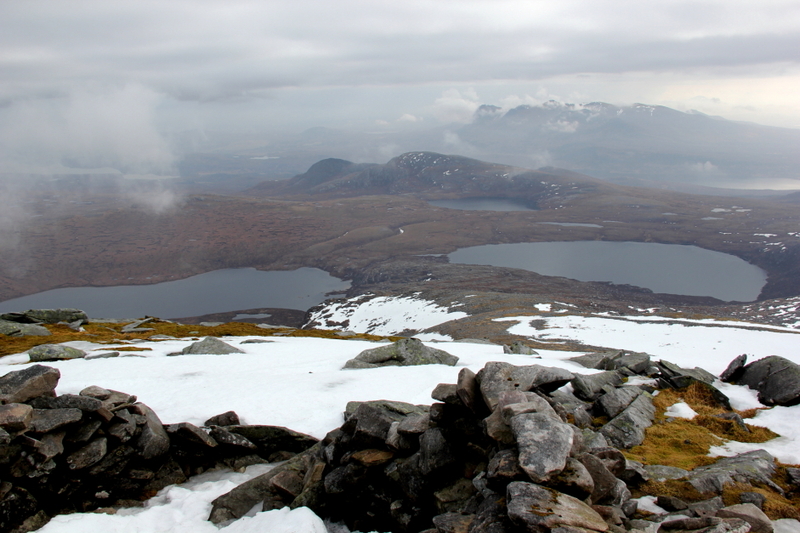 The views from the summit were enjoyable; Ben Hope is a great viewpoint. Hopefully if I return to ascend this hill for a fourth time it will be under beautiful blue skies. 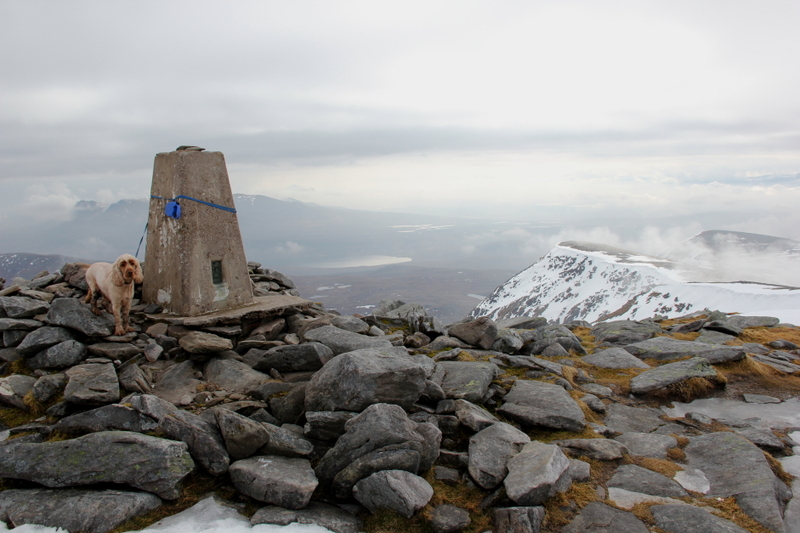 Having started walking quite early, I was first to reach the summit. During the descent I met a number of other parties heading-up the hill. During the descent, as is often the case, the weather improved. However, by the time I got back to the van it had again deteriorated somewhat. 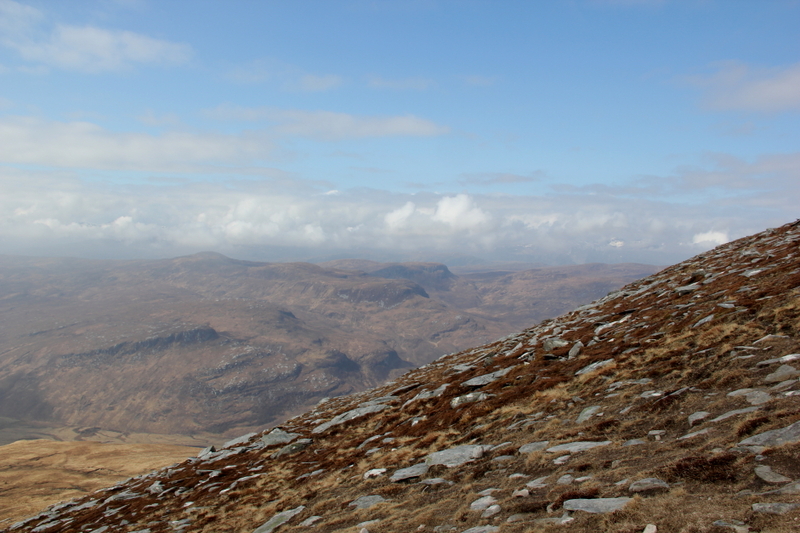 Ben Hope is a great hill. If you haven't done it, it is well worth the effort.